If you hurry, you can take advantage of an awesome Tombstone pizza coupon offer! 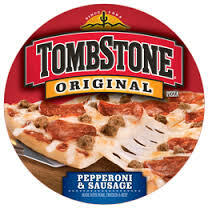 With this special Tombstone Pizza discount offer, you can purchase 2 delicious frozenTombstone Pizzas for just $7! Use this pizza coupon at any participating store that sells Tombstone Pizza. Be sure to use this coupon before it expires!